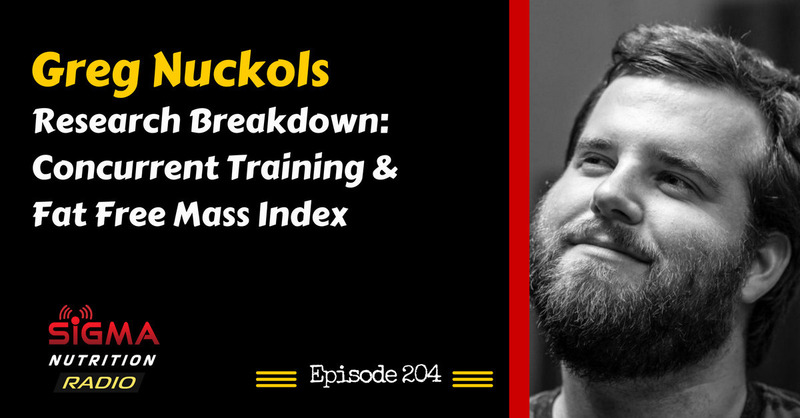 Episode 204: Greg Nuckols is on the show to review two recent research papers; one looking at concurrent training and the interference effect, and the other looking at the fat-free mass index in athletes. Greg Nuckols is the founder of StrongerByScience.com, a website that provides comprehensive information about how to get stronger and more jacked. 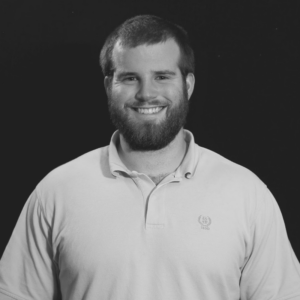 Greg has over a decade of experience under the bar, and a BS in Exercise and Sports Science. He’s held 3 all-time world records in powerlifting in the 220 and 242 classes, and is pursuing graduate research at UNC-Chapel Hill, under the supervision of Dr. Abbie Smyth-Ryan. He’s trained hundreds of athlete and regular folks, both online and in-person. He’s written for many of the major magazines and websites in the fitness industry, including Men’s Health, Men’s Fitness, Muscle & Fitness, Bodybuilding.com, T-Nation, and Schwarzenegger.com. Greg, along with Eric Helms and Dr. Mike Zourdos, created the monthly research review MASS (Monthly Applications in Strength Sports), which breaks apart some of the recent research carried out that is relevant to strength athletes, bodybuilders and powerlifters.